There’s quite a debate in the beauty world about facial cleansing brushes – do they work? Is it worth forking out on a super expensive one? Are the cheaper alternatives any good? At a much more reasonable £49.99 – the Magnitone Lucid is a fabulous alternative to the Clarisonic. Both brushes offer the same promise; to gently buff and cleanse skin; removing impurities and dead skin cells, and they really do. Facial cleansing brushes are the one thing in my opinion that REALLY make a difference to your skin. So as you can see, both pretty similar looking products. The Clarisonic Mia 2 (left) is £140 and it truly is brilliant and in my opinion, worth every penny. 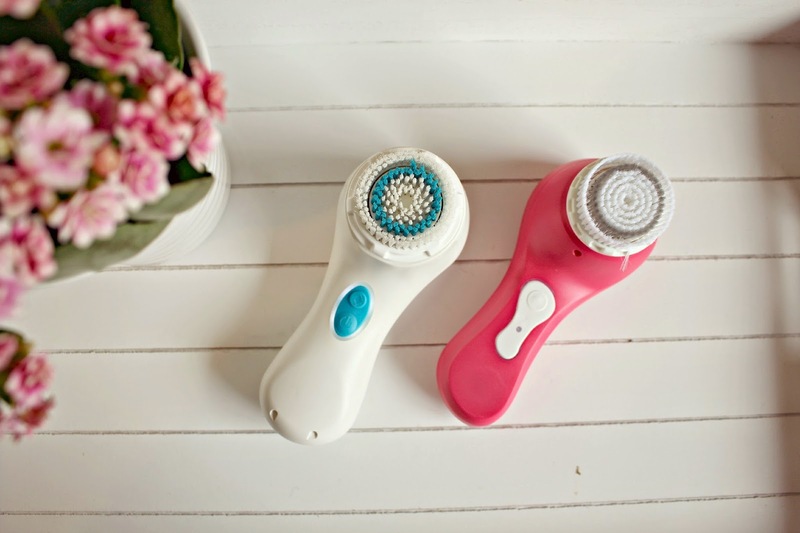 If money is no issue then I wouldn’t think twice about getting one, you can read my full review of the Clarisonic here. When you think us girls can spend over £100 in one go in the Salon (Ok, us London girls with coloured hair can anyway!) it’s surely worth splashing out for the sake of your skin, but I know that £140 is a little mad, so you’ll be pleased to hear that I’ve found the benefits that the Clarisonic gave to my skin are the same when using the Magnitone Lucid (right). Unlike other ‘cheaper’ facial cleansers, the Magnitone lucid is very gentle, and you feel like you are being pampered rather than scrubbed when using the brush. The bristles are very fine, but with over 1000 rotations a minute, skin is still deeply cleansed. 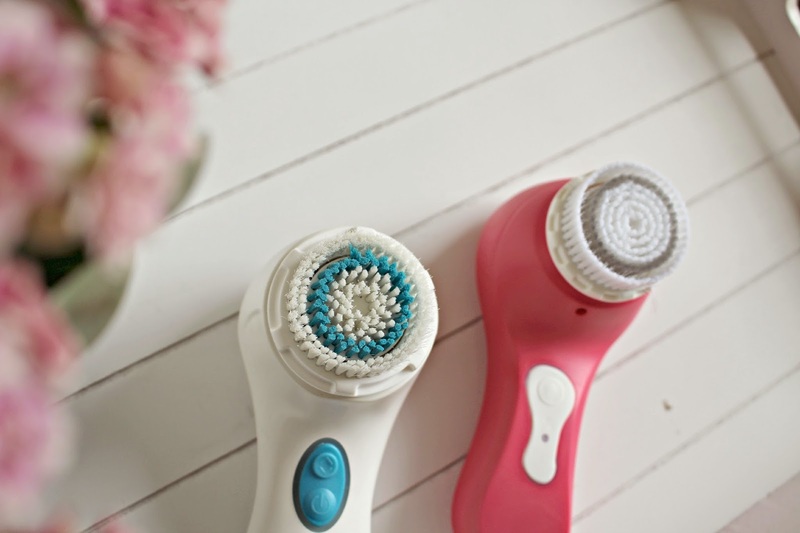 The Magnitone reduces the occurrence of blackheads and breakouts by purifying pores – the oscilation of the brush ‘vibrates’ the dirt from your pores (isn’t that a lovely thought!) and the skin is left clear to soak up all the nutrients from your products. The Magnitone can be used with most gel-like facial cleansers, I particularly like it with the Clarins Pure Mel Cleansing Gel (review here). There are no tricky settings; just press the button and go. It will beep at you if you over use it – you should only cleanse for about a minute. 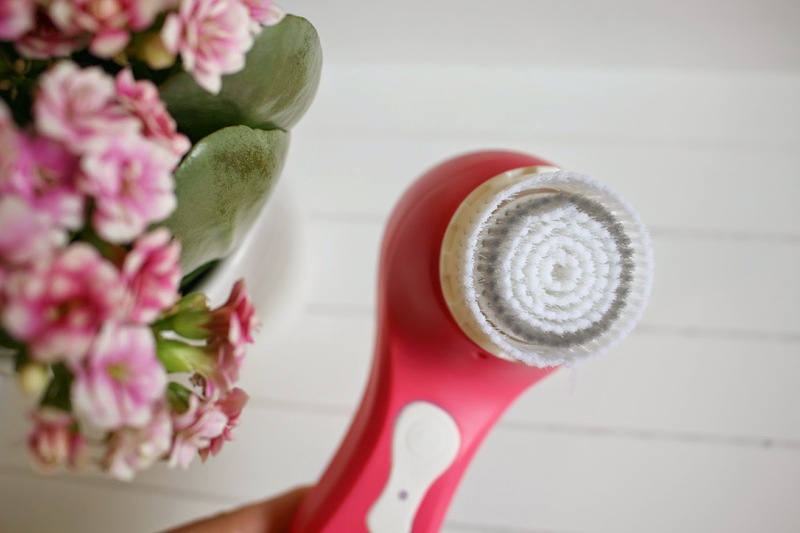 The Clarisonic is just a little bit more intelligent as it pauses momentarily to let you know when you should move on to the next ‘zone’ of your face, but, to be honest I rarely stick to it! So to summarise, both cleansers will leave your skin looking and feeling fresh and smooth and I’d recommend adding them to your routine – but with caution as over use can lead to irritation especially on sensitive skin. If you want to try a facial cleansing brush then I’d most definitely recommend the Magnitone Lucid, or if you want to take your skincare to the next level, the Clarisonic is the ultimate luxury treat!